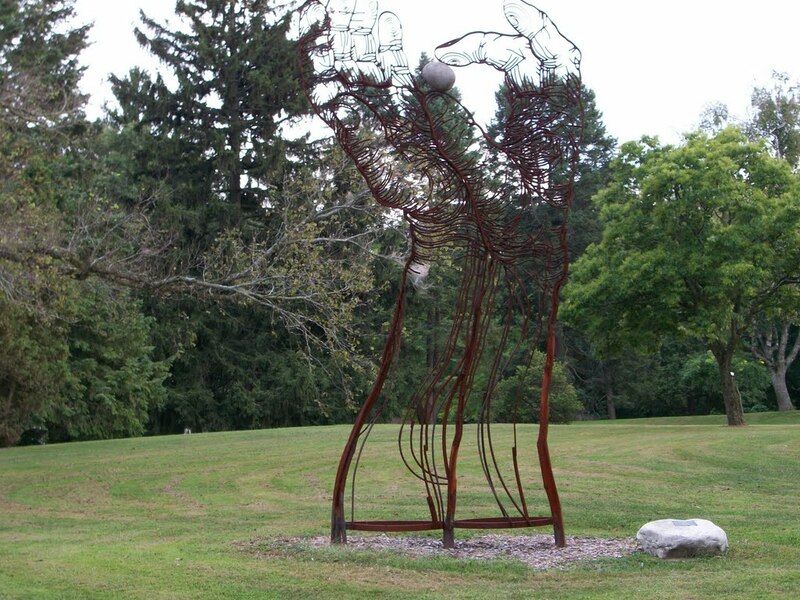 Perhaps one of the most striking elements of this sculpture is its movement. 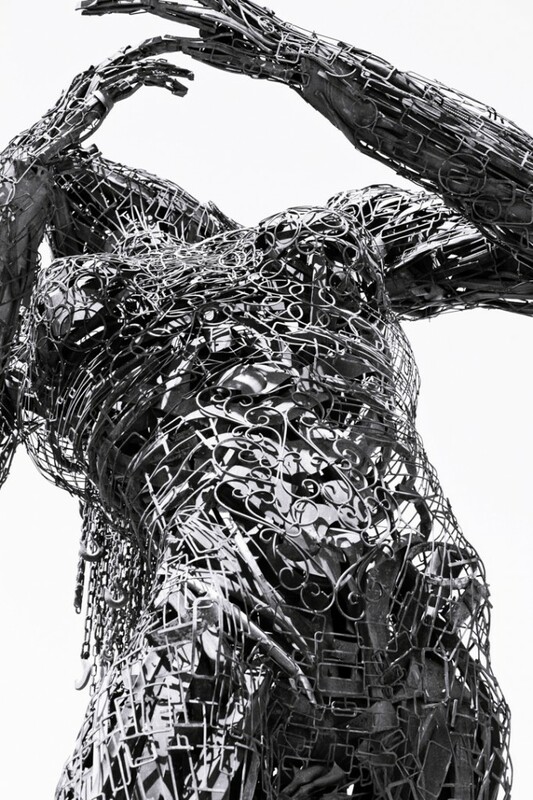 Standing at an incredible 30 feet high, this scrap metal sculpture is an impressive feat of engineering and rhythm. With the model’s head thrown back and the chain metal hair falling behind her, the feeling of ecstasy is uncannily evoked. 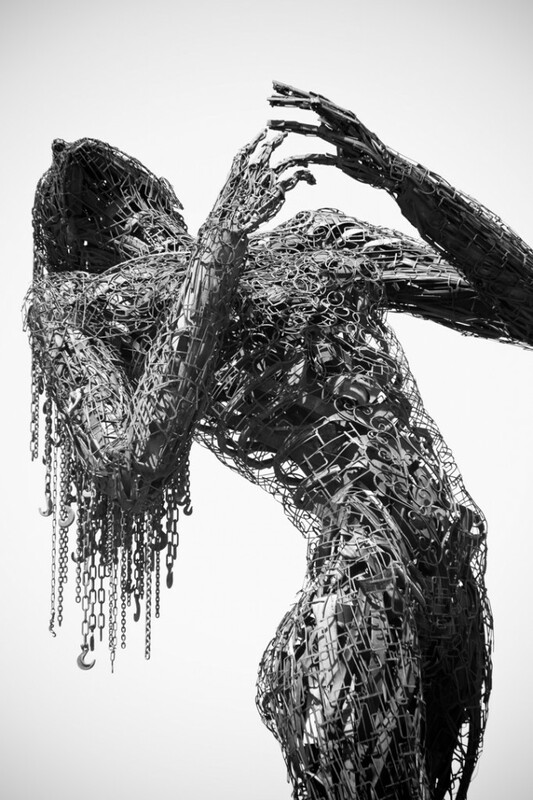 Created by California based artist Karen Cusolito, this scrap metal art encompasses a staggering 9 tons of salvaged steel. Images courtesy of Thomas Hawk. John Lopez’s work was inspired by the death of his Aunt Effie. After his Aunt died his Uncle asked him to make a cemetery for her, but being 35 miles to the nearest town, the artist soon found himself running out of materials. 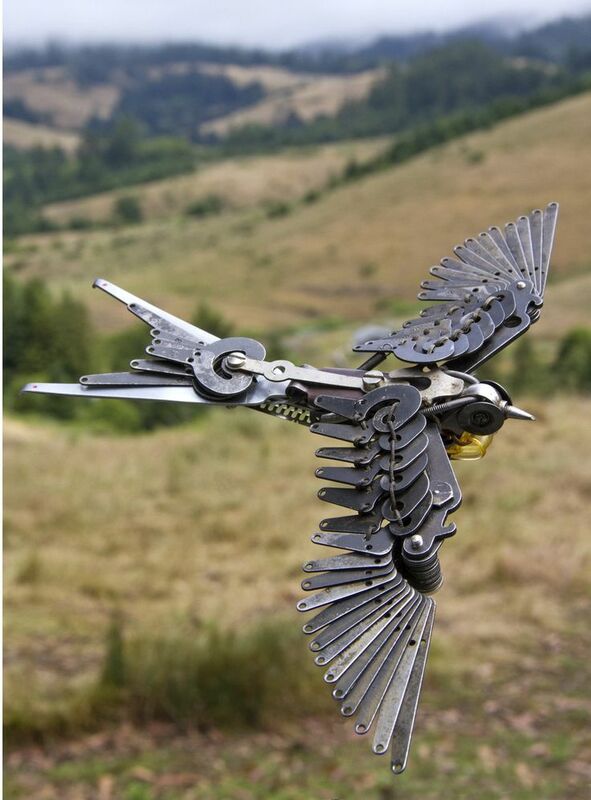 Improvising with pieces of scrap metal he found around the farm he eventually moved on to making sculptures. His other work also includes a horse and a triceratops. 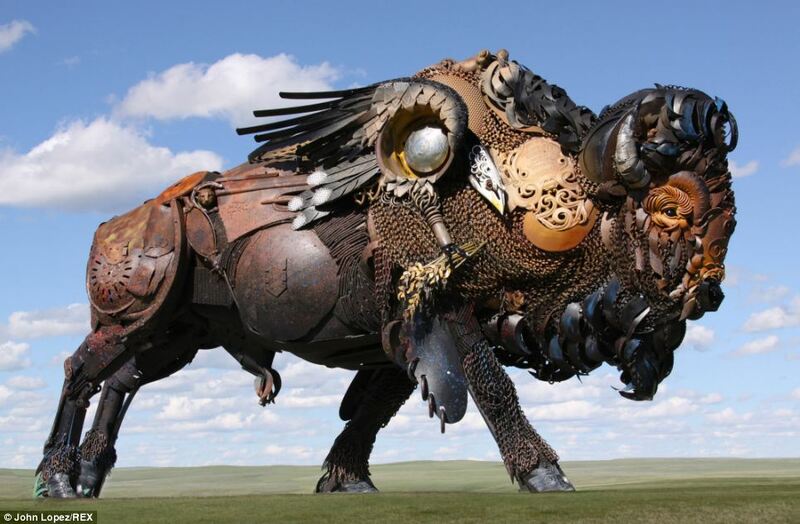 Below is his sculpture of a buffalo made from old tracotr parts! Images via The Daily Mail. 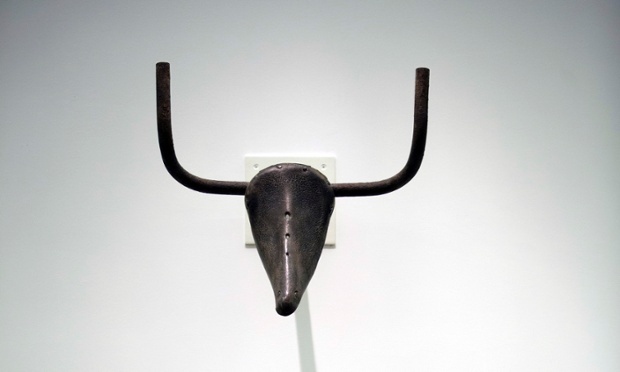 An iconic piece of scrap metal art, Pablo Picasso’s Bull Head was made in 1942. This epochal piece from Picasso’s surrealist period was made against the bleak backdrop of wartime Paris. It’s simple appearance can be attributed to a bicycle seat and a pair of handlebars. Taking these everyday objects and giving them new meaning places them in a mythical context. This sculpture is a minotaur or a bull rising from the rubble of a war torn country. In many ways it’s heroic, triumphant. Image via The Guardian. 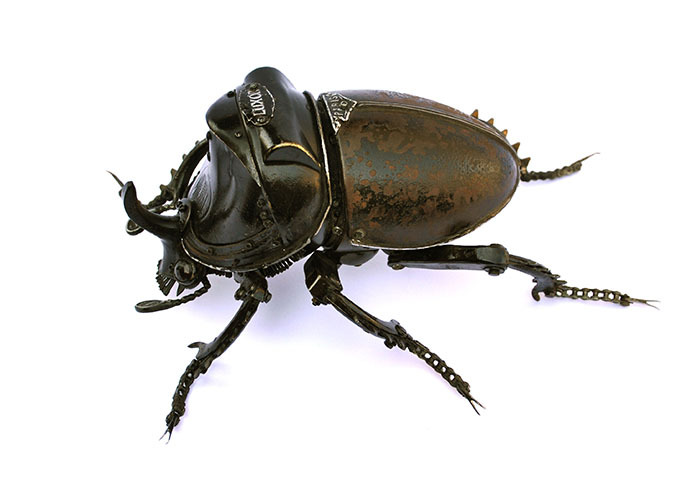 Edouard Martinet’s incredible sculptures reflect his insectophile nature. 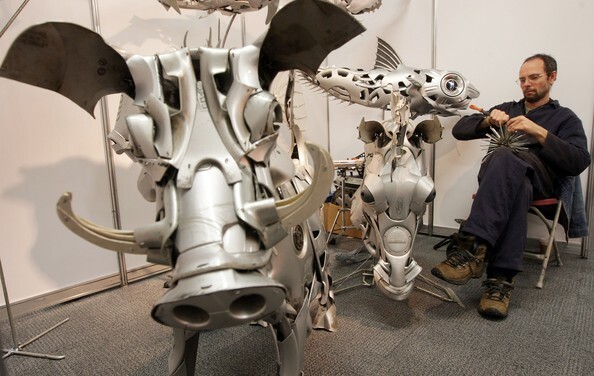 His scrap metal art does something quite different to the others; he doesn’t weld his work, he screws it together. This hidden layer of detail allows for an almost seamless presentation; it gives his sculptures life. There is an almost unprecedented formal clarity with Martinet’s work. His work has a visual richness that gives the viewer a unique perspective of his subject. His creatures have character. Their movement comes from their deceptive simplicity. Images via Martinet’s site. 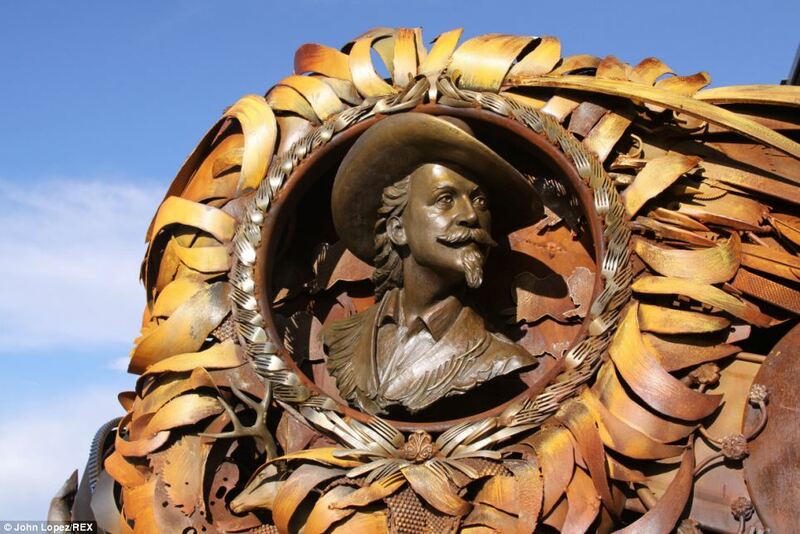 David Hind spends countless hours going through scrap metal junkyards to find the perfect pieces for his work. 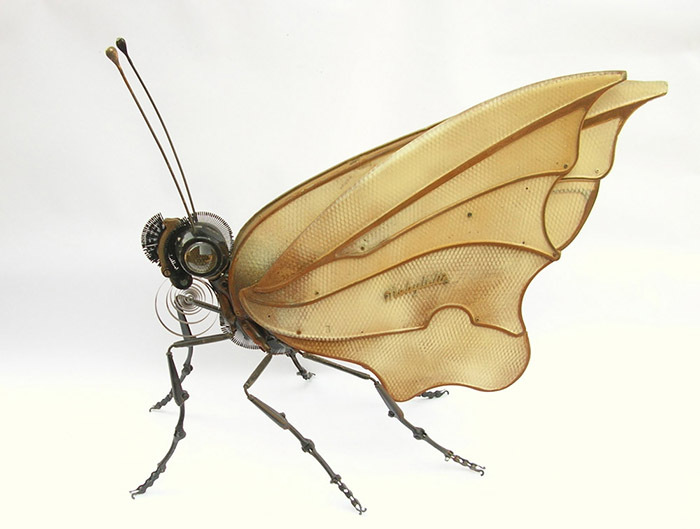 Everything he makes is made from recycled metal, not that you can tell by his sculptures’ fluid lines. 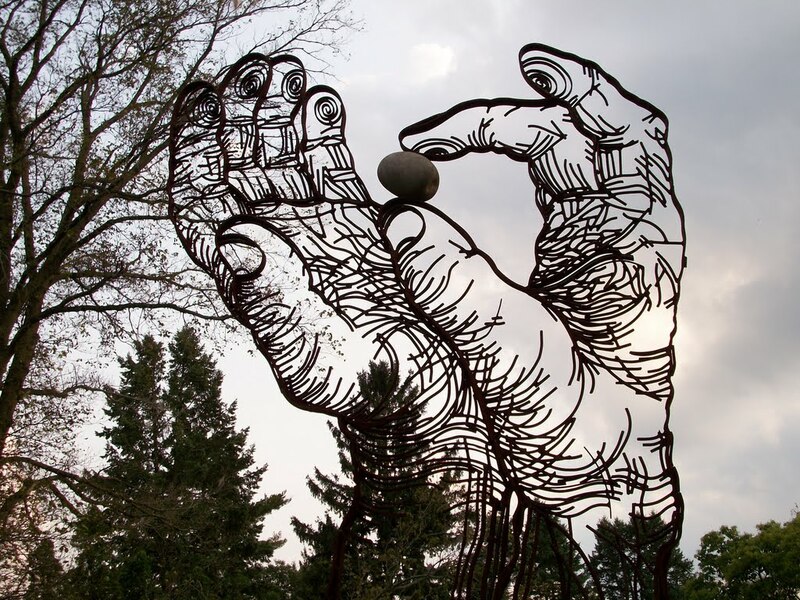 Hind’s work has spanned over 20 years and his work has varied from detailed etched portraits to huge 15 foot installations. Images via Massconline. 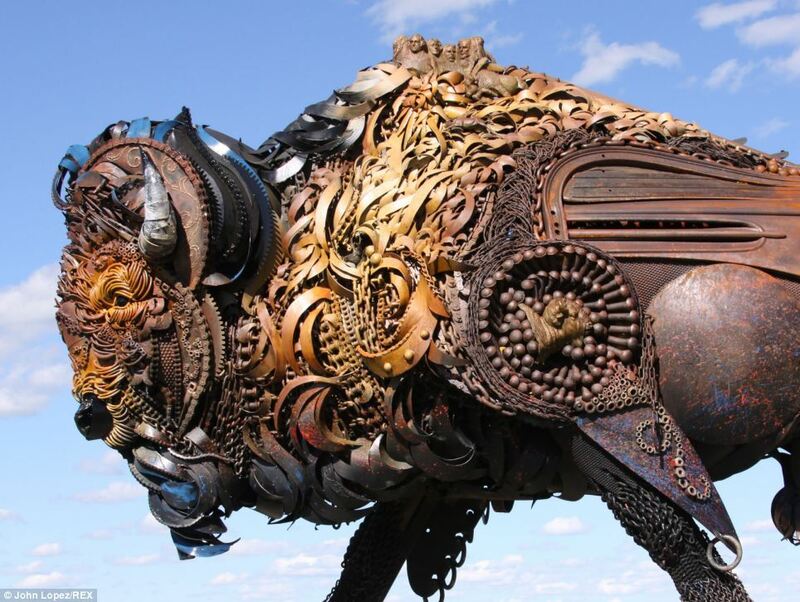 Made entirely from hub caps and scrap found on the side of the road, Ptolemy Elrington’s animal sculptures are pretty incredible. 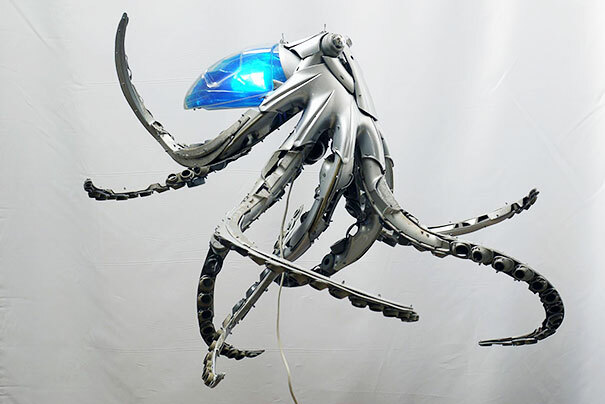 Life is given to the sculptures with the addition of light, like in his octopus below. Mayer’s work includes form work as well as animals. 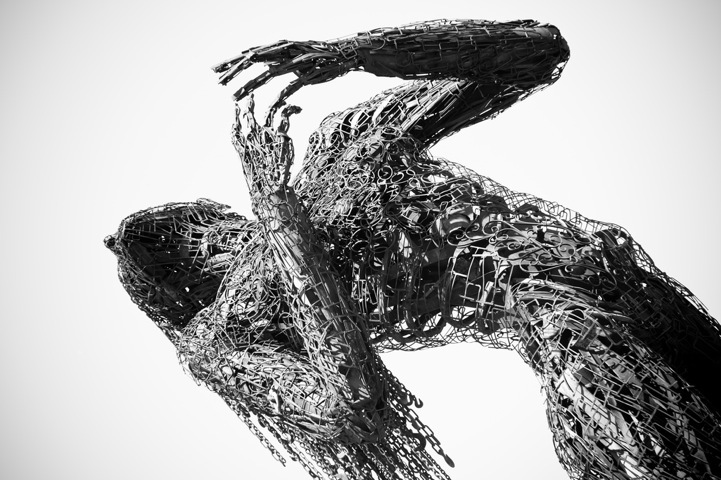 View his mind-blowing collection and lose yourself in his detailed work. Image via Pinterest. What were your favourites? Let us know via Twitter!